← Do they make this in adult sized? The Loopy Ewe - Do you Know the Entrance Password? 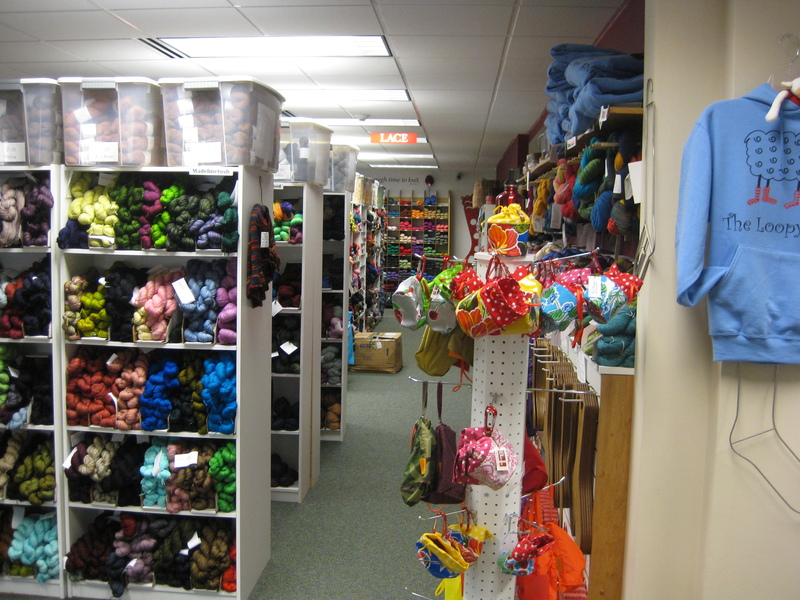 Oh what fun I had on my Friday of Fun visiting 4 yarn stores in St. Louis. It wasn’t that long ago that I realized that the acclaimed Loopy Ewe was in my city. I was shocked, but unfortunately due to limited hours (after all I think she’s mainly an on-line store) I’ve never been able to visit. So having a chance to visit there was wonderful. I could have gotten lost in there for hours, and the staff leaves you alone so you really could get lost for hours. But they were there when I needed help. I think the thing that impressed me most was the amount of hand-painted yarn. I was overwhelmed by all the amazing colors. I wanted to buy it all, and I seriously thought about it. 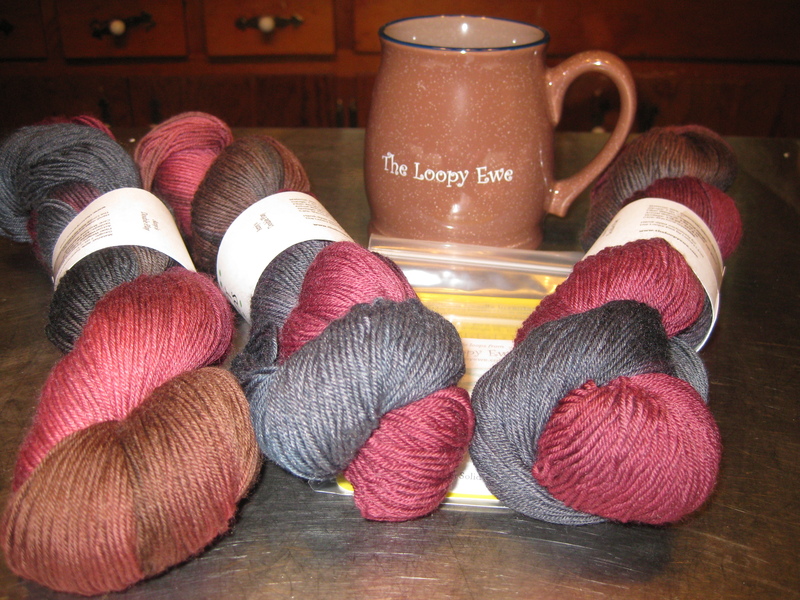 But knowing I had 3 more stores to visit I restrained myself to some of Loopy’s yarn. Choosing which colorway was hard! I wafffled for over a half an hour, I put yarn in my lovely little basket they give you to shop with, and I put it back, then I put it back in my basket, then back on the shelf. On this yarn crawl I had good intentions. I wanted to limit my yarn purchases to buy yarn to knit the story of Spud & Chloe, and at the Loopy Ewe they had the yarn. But when I started adding up the costs to knit these toys, I realized that I was indeed insane. Toys are wonderful, but luscious expensive yarn should be wrapped around you in a veil of comfort. So, well, my plan went out the door in about 45 minutes. But I have 4 new planned projects and lovely memories of my yarn crawl that will last me the year. My Loopy Ewe purchase will be a shawl, and a cup to commemorate the start of my crawl, because I needed a good mug for coffee. So the Loopy Ewe, I used google maps and made my route from my office (I had to drop off Pineapple Upside Down Cakes for an ALS bake sale), then I cranked the radio and headed out to my first destination. I pulled up to the address, and it is an office building. Hmmmm….was I in the right spot? I parked my car and went inside. 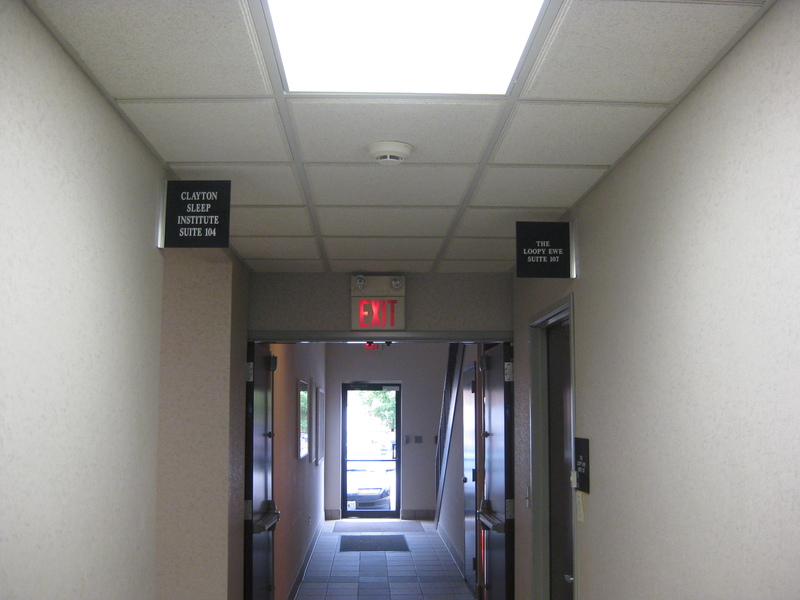 Yep, there on the sign, Suite 107, the Loopy Ewe. I got to the door, and to get in you had to ring a bell. I felt like I was entering a secret society, a hidden den of yarn wonder, a speakeasy of yarn quite possibly. And then you walk in to the most incredible sight, row after row after row of lovely colors and yarn of every type. I felt like yarn was on prohibition and I had to have the secret password to get my yarn fix. And no one outside that office space knew such a wonderous world existed behind that cold white door. I felt like a child entering Willy Wonka’s chocolate factory. I think it had been too long since I immersed myself in the world of yarn. i can’t believe all the wonders I had lost by shopping mainly online in the last few years due to a heavy work load and crazy schedule. It was fun having my yarny senses revived. 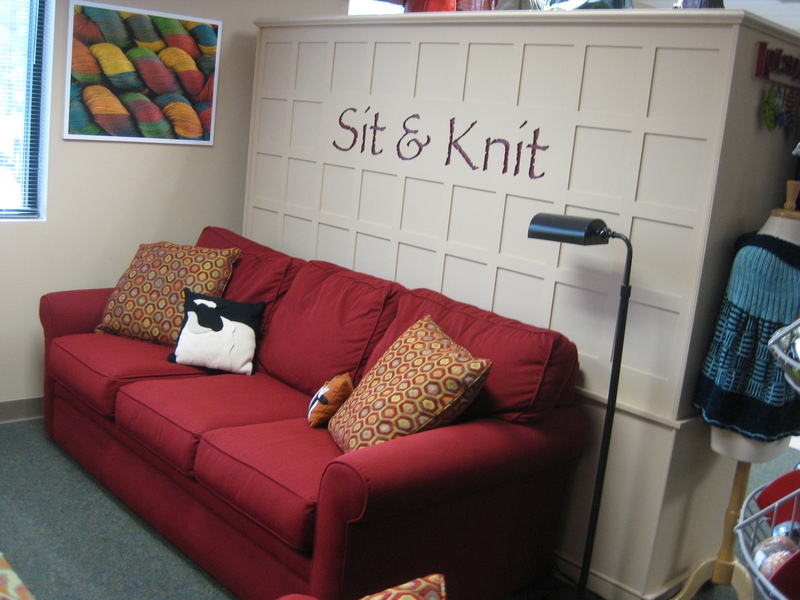 Next Up we stop at the Kirkwood Knittery! Wow Rebekah- Can I stand in your aura? I would love to go just once. Thanks so much for including us on your Yarn Crawl last week. I’m glad you popped by! Oh, I want to visit The Loopy Ewe. I am in love with the yarn and the superior customer service – the best I’ve found in my 20+ years of knitting/yarn shopping. Thanks so much for the look inside. A speakeasy of yarn!!!! I LOVE that analogy! What great pics and NICE goodies…..